Hubbell Lighting Compass® CEL Series LED edge-lit emergency exit sign in brushed aluminum finish, has engraved red colored "EXIT" legend with directional arrow indicators. This sign has a power rating of 3.72-Watts and dual-voltage rating of 120/277-Volts AC. This double face exit sign works on nickel-cadmium battery, which runs up to 90 mins. The surface mountable exit sign, has test switch and AC ON indicator. It is suitable for stairwells, hallways, offices and other commercial applications. 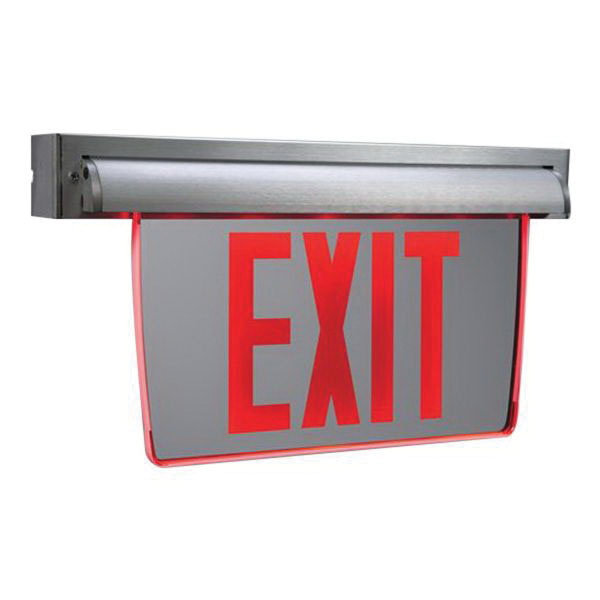 The LED emergency exit sign meets UL 924, NFPA 101, NFPA 70 and OSHA standards.